It’s 1955 and a square little town is about to get All Shook Up when a guitar playing roustabout shows up. This hip-swivelin’, guitar-playing, young man changes everyone he meets, showing them that life is always better with a little color and whole lot of rock ‘n roll! All Shook Up features a hilarious story with the energetic, heart swelling, and “blue suede shoe” tapping songs of the king himself: Elvis Presley. From “Jailhouse Rock” to “Heartbreak Hotel” you won’t want to miss a single second of this thrilling jukebox musical! Don’t be “nothin’ but a hound dog” and get your tickets now! Our murder mystery is back for the craziest case yet! Private eye Christopher Ides is at his lowest point, the cases have dried up, his love life is non-existent, and the pictures he enjoys at the local movie house have gotten a bit dull. Things begin to turn around for the aging detective when a string of murders at the world famous Stardom Studios thrusts him into an intricate web of deceptions, plots, and lies on the set of their latest picture. Will Ides actually make it out alive of this case or will this be the final nail in his own coffin? 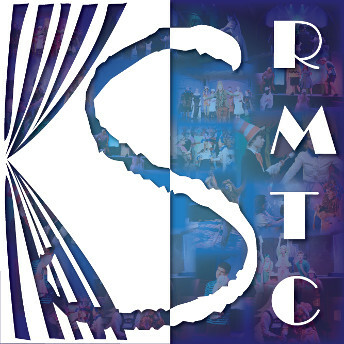 Stage Right Musical Theatre Company is thrilled to once again bring a blend of music, drama, comedy, and mystery to the stage with our fall murder mystery. One night only Dinner and a Show! The worldwide phenomenon comes to Stage Right this holiday season as our education program Rising Stars Academy presents Disney’s modern tale of family, love, and acceptance: Frozen. Elsa and Anna are sisters and princesses, but have grown up very differently despite living in the same castle. Anna has grown up curious and headstrong while Elsa has grown up living in fear of her own hidden powers. Things change when Elsa’s icy abilities erupt at her coronation, sending her fleeing for the mountains and blanketing the land in an eternal winter. It’s up to Anna with the help of her friends to reach Elsa and bring an end to their frozen world while bringing her sister back home. Don’t “Let it go”, get your tickets to this thrilling adventure! ****PLEASE NOTE The saturday December 6th start time is later (730pm). This is because we want our guests to enjoy A Country Christmas parade downtown Williamstown at 630 pm. Friday and Saturday Night shows include dinner. Sunday is show only with available concessions.